Sharon Kleyn: Dr. Eugene Helveston is a retired Ophthalmology Professor at Indiana University Medical School. Since 2000, he has volunteered for ORBIS International, which conducts pediatric eye care screening, training and sight preservation programs in third world countries. Does ORBIS have programs in the US, Dr. Helveston? Dr. Eugene Helveston: Only recruitment programs. We enlist eye care professionals to travel overseas to help reduce eye diseases such as dry eye and preventable blindness. S: What is the status of eye care education and children's sight preservation worldwide? E: Most children are born with normal vision but immature eyes. Development takes place rapidly and naturally and parents usually don't pay much attention. But things can go wrong very fast. Parents must be educated to detect eye health problems early, such as poor vision and dry eye. S: What are the signals of good eyesight in newborns? E: The cornea should be naturally clear, glistening and bright, with no mucus or mottled spots. 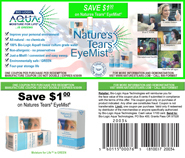 The tear film should look normal, with no dry eye symptoms. S: Explain about the tear film. E: The tear film is the primary vehicle for moistening and light refraction and it maintains perfect eye clarity. It should contain sufficient natural water not look dry or mottled, which are symptoms of dry eye. Very few parents are aware of this. S: What are other things to look for? E: A white reflection appearing inside the eye, called a "cat's eye." This is the earliest sign of retinal blastoma and it infects one in 18,000 to 20,000 children. It not only causes blindness, it is lethal if not treated. S: Are there dry eye or vision symptoms related to the skin around the eye? E: Yes, especially in older children, toddlers and preschoolers. Parents should look for squinting and trouble seeing but may miss this because to the child, this is perfectly normal. S: Yes, we interviewed Dr. Marguerite McDonald a few weeks ago, who said that she was nearly blind as a child but was able to compensate and it was two years before her parents noticed. E: That's common. I've often fitted children with glasses and had them tell me that they never noticed tree leaves before. S: What should US parents look for? E: Eyes should be symmetrical and moist, with no signs of dry eye or abnormality. They should focus within a few weeks and be able to follow a finger. The child should be aware of their environment. There should be no excessive tears, and no cataracts or tumors. Visual acuity should be checked fairly young. S: Tell us more about ORBIS. E: One-half of the world's 160,000 ophthalmologists live in developed countries. The other half are in dire need of equipment, education and a more enlightened population. ORBIS has permanent staff in India, Viet Nam, Bangladesh, China and Ethiopia. We also operate the "Flying Eye Hospital," a DC-10 airliner. In each country, we put together an educational and service sight preservation program to meet local needs needs. S: What have you learned about eye care and dry eye China? E: The natural incidence of nearsightedness in Chinese children is much higher than in the US - about 15%. This may be genetic, or it may be environmental or cultural. S: Or it could be due to dry eye from dry air and extreme pollution. What do you do for ORBIS? E: I set up standards of care, locate equipment, and select key doctors in target countries to train in modern sight preservation practice and diagnosis. S: Is the US the most advanced country for eye care? S: Is increasing dry air and dry eye a factor in the third world countries? E: It can be. In Nepal, for example, the elevation of many towns is over 10,000 feet, so air is naturally very dry and dry eye is common. Altitude and dry air can affect vision and accelerate childhood eye diseases. S: One of my eye health recommendations is to drink sufficient natural water to prevent dry eye. Do you have any nutritional advice? E: The majority of preventable blindness, which can be as much as 75% of all blindness, has to do with vitamin A deficiency. This is most common in sub-Saharan Africa, India and China. S: What are some vitamin A foods? E: Natural foods such as whole grain rice, fresh vegetables, whole wheat. Rubella vaccinations are also important. Folk remedies such as rubbing mud in the eyes should be avoided.